Tatiana is a professional vocalist based in Geneva, Switzerland. With a majestic voice, exceptional phrasing, and incredible range, she performs classical, crossover, contemporary, and folk music. A refined artistic virtuoso vocally and instrumentally, she offers unique vocals and beautiful guitar arrangements. She is a dynamic singer, outstandingly versatile, enchanting, elegant and eclectic. Her musical career started in Moscow, Russia, where she graduated from a prestigious music school. For many years she was part of a well-known acoustic duo, traveled with a variety of bands, performed as a soloist in Moscow, in various European countries and in the USA. She was a feature performer at many international song festivals and has often been featured on Russian and Swiss radio and TV. She has released four solo discs and recorded several trio and duo albums with other artists. 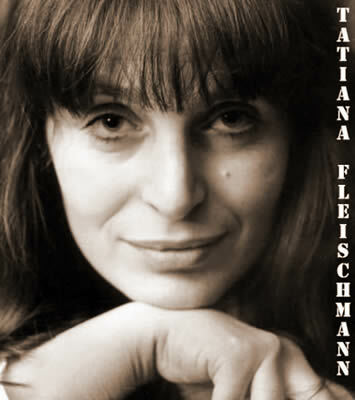 Critics have repeatedly complimented Tatiana for her incredible vocal versatility - she excels at modern and classical, two genres of music that differ significantly in their technique and overall musicality. Her rendition of classics like Russian romance, folk and gypsy pieces, as well as today’s popular songs, ranging from tunes by Chava Albertstein to compositions by Vladimir Vysotsky and Alexander Galich, continues to mesmerize crowds of all ages.